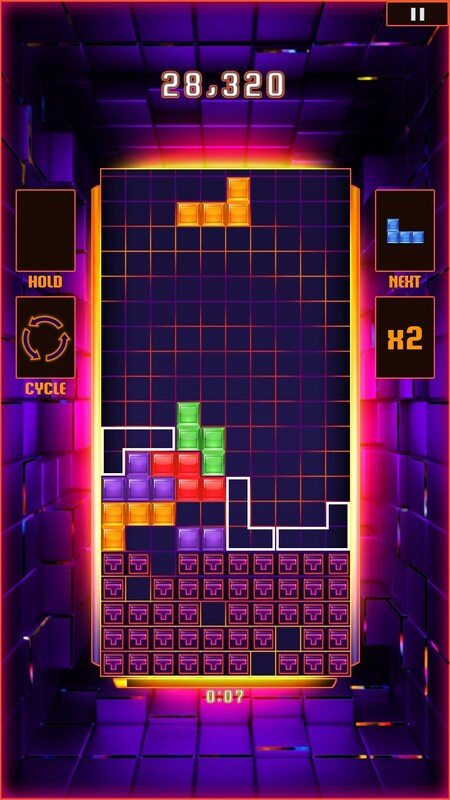 TETRIS Blitz – Games for Android 2018 – Free download. 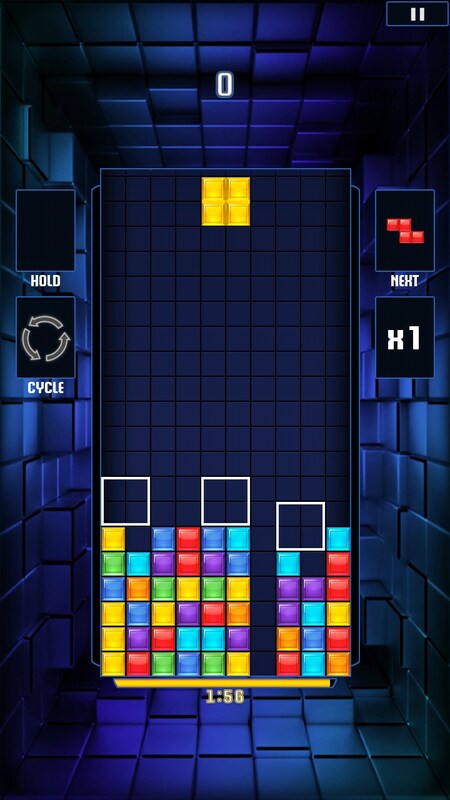 TETRIS Blitz – Bright version of everyone's favorite tetris. 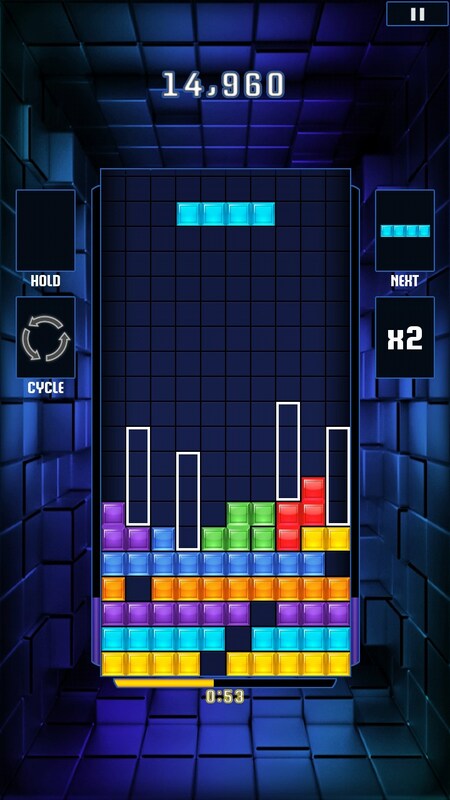 TETRIS Blitz - a spectacular and high-quality processing of the good old Tetris for Android with fun gameplay, decent graphics, good music, and a set of interesting and different bonuses. Before the game can be trained, which are explained step by step all the basic rules of the game. To put another piece to the desired location, simply click the shape. 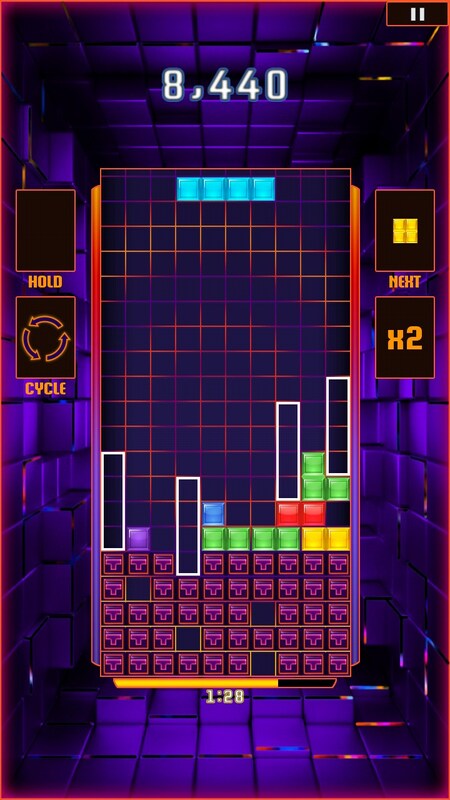 The remaining parts of Tetris place as soon as possible heap as to obtain the cascade (the so-called levels with figures that are destroyed due entirely filled row). The lower left button - to select various options for the installation of a new figure. The more rows at a time, you are consuming, so, consequently, more points are typing. So try using a figure close as many levels. Keep track of time - faster than you think and put a figure, the more points you can score. 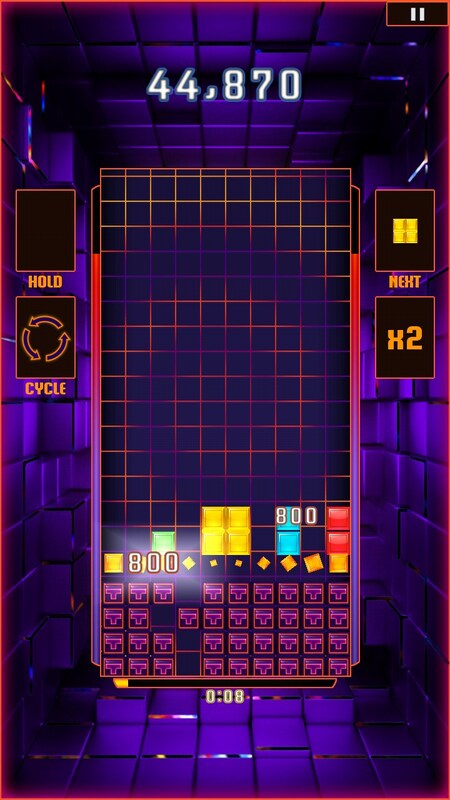 As soon as you destroy all the more levels, the line on either side of the main screen will be filled up and up. And when the line is full, all your points in the game will double. And at the same time will be the so-called blocks of fury that will build large cascades and get a lot of points at a time. 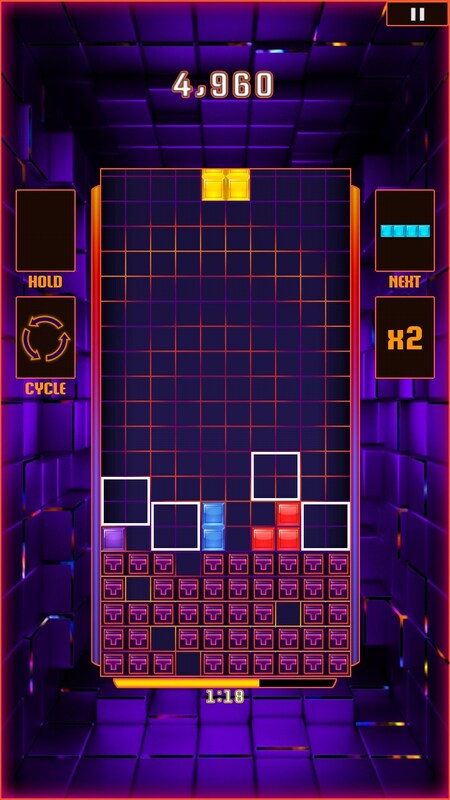 After the first win you give away for free use bonus in the form of lasers that randomly kill 3 lines of Tetris. Also, there exist such bonuses as a magnet (pulls all the pieces to the left), an extension of time (time increases by 5 seconds), rewind, and so on. But these are already purchased for 3.5 thousand coins and more. Update the standings every week - an opportunity to get on the podium. Of course, in this game, everything is done to ensure that the player spent too keen about real money. After the first free gifts tempting offers to buy 25,000 coins for $ 2, $ 5 for 68750, and so on with increasing discount. Also, you can buy a reselection figures for the same $ 5 - your figure will remain the side to the point where you really need it. Or to see the following three pieces instead of one for $ 3. 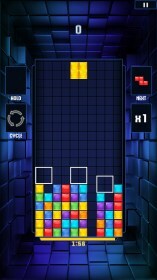 In addition, the game would do well to increase, or do a few modes with the ability to choose the number of times per round. 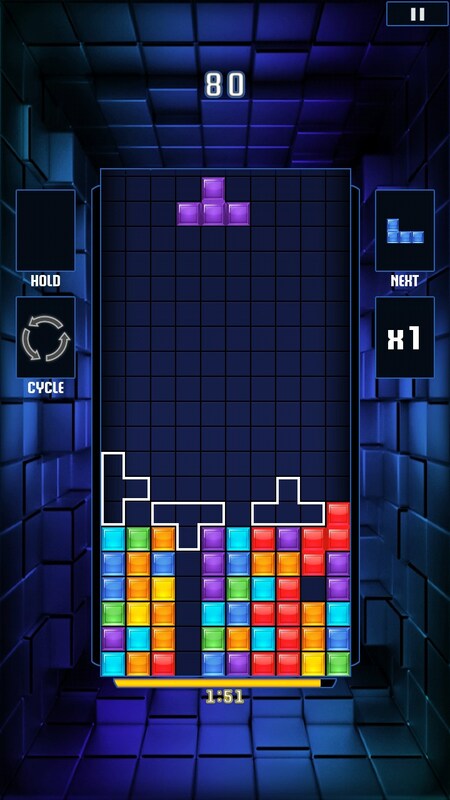 Many people also find it rather monotonous gameplay, but fans of Tetris is, of course, is not concerned. Summary. 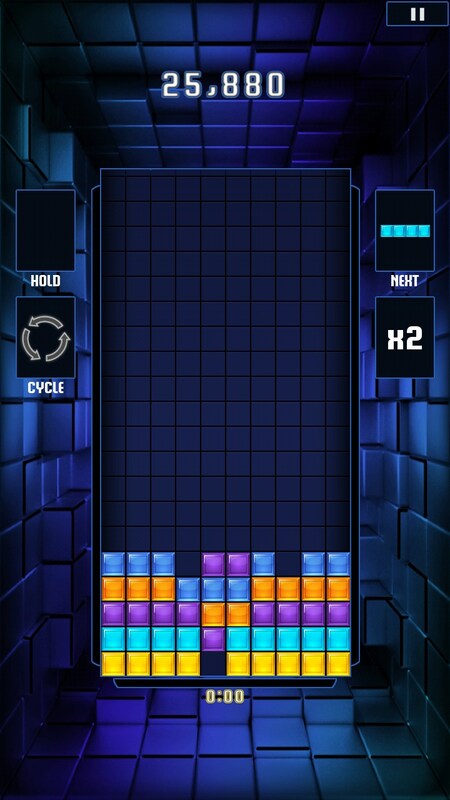 TETRIS Blitz - perfect for recycled Tetris with their chips and bonuses for Android. The bonus game is activated inside the lottery every 48 hours. 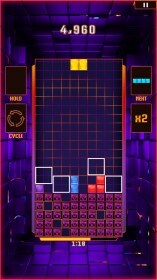 So that the various chips and bonuses, and coins can be obtained, without distraction, and to everybody for free. Our solid four-plus!